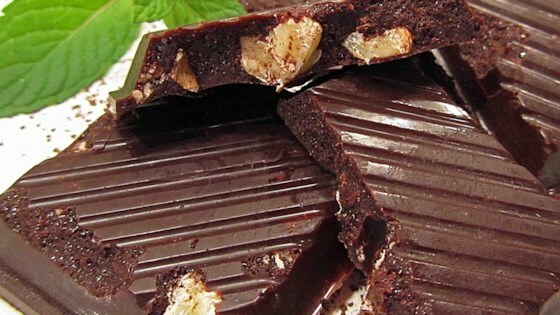 "Homemade chocolate that melts in your mouth. Made without artificial ingredients or waxes, this wholesome treat is ideal for the health conscious individual who enjoys an indulgent treat. Sweetness can be tweaked to taste, and add-in ingredients and combinations are endless. Enjoy!" This rich, paleo-friendly homemade dark chocolate melts in the mouth. Flavor by adding orange zest, peanut butter, dried coconut, chopped nuts, cinnamon, cayenne pepper, etc. to taste and consistency desired. Add after melting coconut oil, cocoa powder, honey, and vanilla together. Number of servings depends on thickness of mold(s) used, as does set up time. Not recommended for baking. Must be kept refrigerated.